Sharetec’s full service Credit Union Accounting Services include: general ledger, accounts payable, recurring entries, fixed assets and investments. Automated check reconciliation and Aires generation lighten the workload on your accounting staff. Financial statements are a one-step process using Sharetec’s standard or user definable financials. Preparing your quarterly 5300 Call Report can be time-consuming and exasperating to say the least. Our 5300 Call Report Solution helps you streamline the data gathering and organizing for your quarterly report by automatically uploading data each quarter from several different sources – including Sharetec shares, loans and general ledger data. The 5300 Call Report Solution will save your credit union accounting as much as 80 percent of the time traditionally required to prepare for 5300 reporting. If you have ever needed to do any vendor research, you know it is not easy, especially if you are just cutting checks out of the general ledger. That is why Sharetec keeps you organized with its Accounts Payable system. This system allows you to enter invoices received from your vendors today, but have them automatically expensed and paid later based on the due date. What a bonus — you keep your funds as long as possible and you earn interest! Couple this with Sharetec’s pre-paid functionality that automatically amortizes your prepayments, and you have a complete expense and amortization system all in one. Do you want to track peer analysis, gap analysis, trends, forecasting and camel ratios, view your membership data in graphs and create visual board graphs? Sharetec’s Wisdom ALM provides for current and historical information reporting. It also offers regulatory compliance, board reporting, budgeting, modeling and income simulation. In addition, Sharetec developed interfaces to some of the most commonly used ALM products, like Brick, Sendero and CUPlan. Make reconciliation easy with Sharetec. Simply have your corporate or local bank send you a file for all items that have cleared. Sharetec will then automatically update the Status and Cleared Date field for each check. Any discrepancies are brought to your attention. Instead of manually clearing checks, make reconciliation easy with Sharetec. Are you tired of tracking fixed assets in Excel and making manual general ledger entries? If so, you need Sharetec’s Fixed Asset program. It automatically depreciates your assets and updates the general ledger entries based on parameters defined by your credit union. You simply provide the depreciation start date, the acquisition amount, asset life, frequency and salvage value. Sharetec takes care of the rest. To make it even easier, you create your own fixed asset types and associate the proper general ledger accounts to them. When the assets are automatically depreciated by Sharetec, the system uses the correct general ledger accounts and mistakes are eliminated. Whether you just invest in certificates or you have complex investments, you can manage your complete investment portfolio with Sharetec’s investment program. 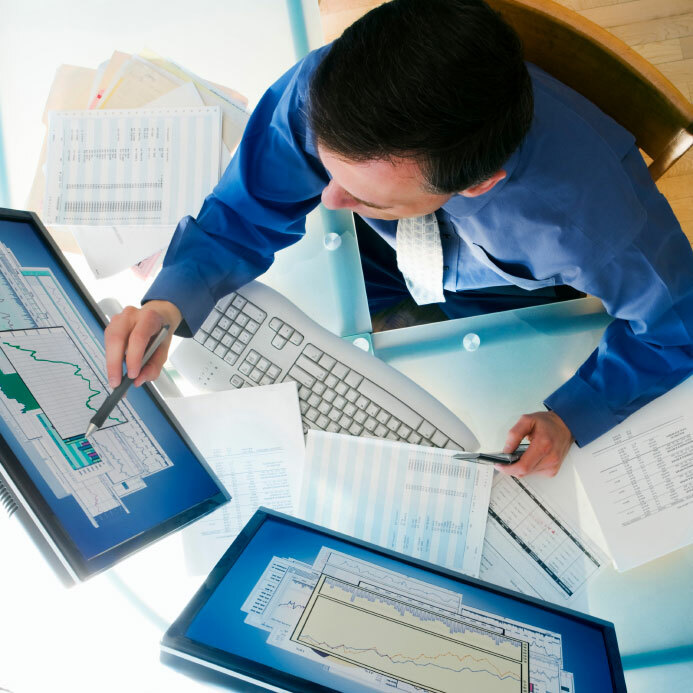 With Sharetec, you get the tools you need for smarter, simpler investor management. By bringing all of your important financial information together in one place, Sharetec helps you more efficiently optimize your investment portfolio.